So cute how he's standing so tall with his little foot planted firmly on your palm. He's a prosh lil' example of a leeeeezird. very nice. Looks almost translucent. Look at the eye shadows. 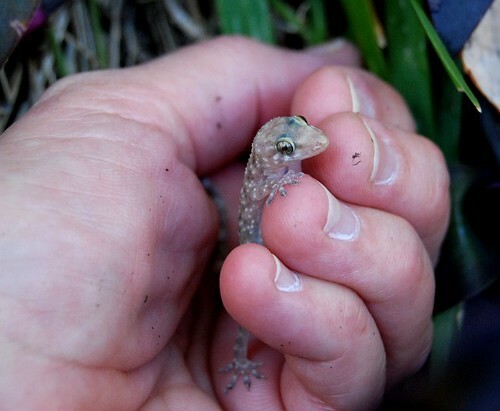 His lizard brain is saying, oh this is so nice to be held by a more evolved being than myself. How beautiful! He looks like a jewel.